Been diving in Shot Gun? Please Vote! Shot Gun is a great reef dive site with some fantastic coral coverage that eventually form walls that are covered with a magnificent array of beautiful yellow corals. The dive site is also known as The Cauldron and is found in a channel between Gili Lawa Darat and Gili Lawa Laut. 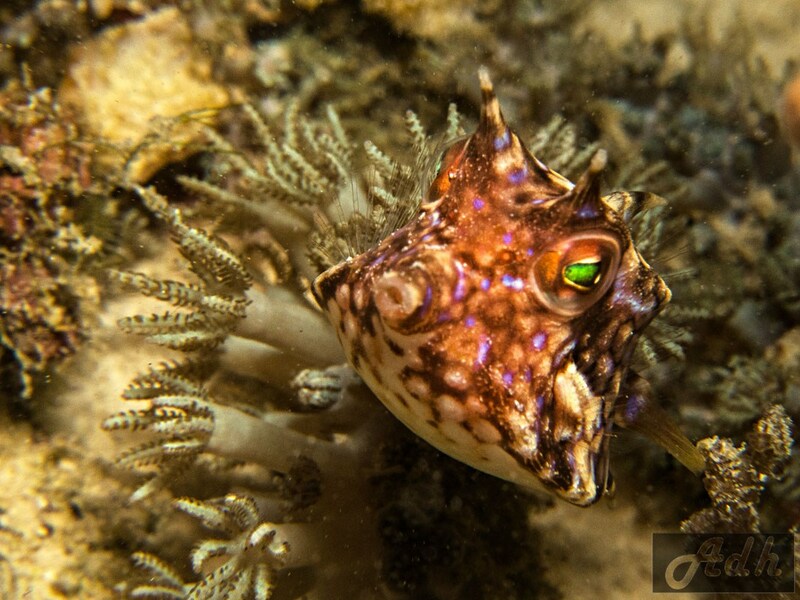 It is said to be one of the most amazing dive sites in the Komodo area because of the amazing corals and marine life. The dive site is fairly shallow with a maximum depth of 30 metres. Visibility is fantastic and can reach 35 metres. Between April and November, the weather is more suitable for divers but it can be visited all year around. Divers should be aware of the strong currents in the dive site and should only dive here with the necessary dive skills to manage strong currents. In addition to this, the site forms a kind of bottleneck, and this creates even more current. The shape and speed of the current mean that the site can be very challenging and so only skilled divers should access this site. This current helps to give rise to the name of the dive site, as the speed of the drift dive is said to be like that of a firing shotgun. This type of dive is known as an adrenalin dive. Where there are currents, there will always in pelagic fish and in between December and February in particular, divers will be able to spot manta rays. These come to feed amongst the strong current. 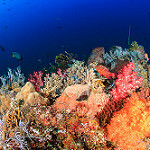 The current also allows for many soft corals to grow including anemones, sponges, sea fans, and many other soft corals. Divers should be able to spot scopionfish, eels, sharks, stingrays, tuna fish, trevallies, anchovies, bump head parrotfish, turtles, snappers and, of course, the many manta rays. For me, if there’s one site that embodies diving in Komodo, it’s the Cauldron. Featuring a massive bowl carved out of the sea floor by years of water being squeezed through a narrow passage, the Cauldron is best dived with a healthy amount of current. On the quintessential Cauldron dive, you begin by weaving your way through glass fish-covered bommies scattered along the sandy seabed. The current becomes increasingly stronger as you move closer to the bowl, until you’re sucked straight into it. Ride along the left hand wall, then duck in the “fish bowl,” a miniature canyon filled with all manner of large fish, like an aquarium display. After having your fill, let go and take a wild ride out of the aptly-named “shotgun,” a small notch in the lip of the bowl where all the current is forced out. In your best Superman pose, rocket over the seabed at a thrilling speed, spilling out into a beautiful soft-coral garden, where you can relax amongst the blooms of purple and orange while your heart rate returns to normal. If you’re really lucky, hop back in the dinghy after surfacing and drop up current with snorkels, to watch feeding mantas flutter gracefully by just meters beneath. Note: I’ve heard the Cauldron called “the shotgun” by some dive guides. To me, the “shotgun” always referred to the section of the Cauldron dive that I talked about, where basically divers were flung out of the bowl where there was a small notch that the water flowed particularly fast through. 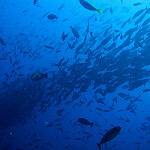 One of my favourite dive sites in the whole world. The Cauldron a.k.a The Shotgun is an adrenaline filled dive which can entertain the most experienced of divers. Huge currents work through this small channel providing some epic encounters over incredibly varied topography. For this site, I would recommend, tides depending, starting towards the east end of the site around the cauldron area where you can see large apex predators such as trevally, tuna and sharks cruising and hunting in the currents. Current strength can vary dramatically here but if possible getting to the edge of the cauldron is the best spot to view this spectacle! 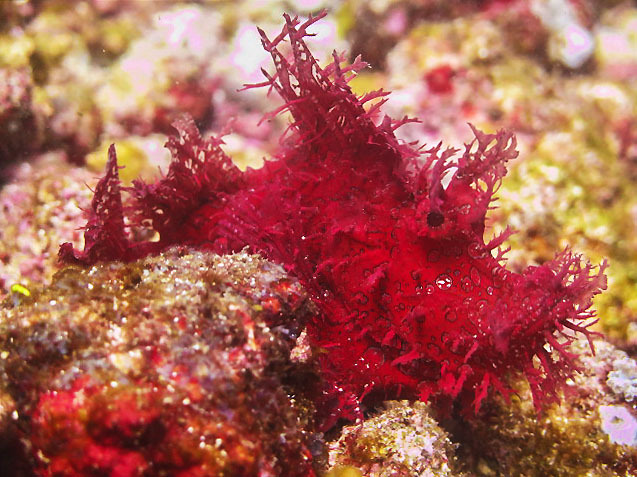 Dives usually end towards the west end of the site around beautiful coral gardens where you are usually treated to an abundance of macro including nudibranchs, and various crinoids. What makes this site so good is the drama created by the site and the sheer variety of creatures that come cruising through. Also called 'The Cauldron', this fantastic dive site has currents allowing you to fly at amazing speeds like the bullet of a shotgun. Map of Komodo, Shot Gun dive site.